French novel about Kurdistan published "La Rose de Djam"
"La Rose de Djam" (Came Cem in Kurdish) is the first of the Serie the sub titile is the Calling of Forty, but Zohak is still there . you can get the novel from Amazon for kindle or you can barrow it for free from Amazon Kindle Library, I am so happy to see Kurdistan to be in the center of novels. 1186 B.C... The kingdom of jerusalem collapsed under the blow of Sultan Saladin's swords, who ruled on Cairo and Muslim Syria.The Fourth Crusade will soon begin. But there is a very different fight leading by the Forty, these wisemen who serve secretly a sole master, The Pole of the World, and try to preserve the cohesion of Universe while spreads the great Dragon of Night `s shadow. A fantastic and adventurous quest which, from Syrian costs to the most unaccessible mountains of Kurdistan, unites or opposes all the heroes of Medieval Easter : Nordmen knights, Kurdish princes, Gascons mercenaries, powerful faqîrs, refined robbers and tricky mystics. Is there an English translation? Novels are generally fiction, is this book fact or fiction? Fiction but with true historical facts : a novel half historical half fantasy, then. Piling wrote: Fiction but with true historical facts : a novel half historical half fantasy, then. 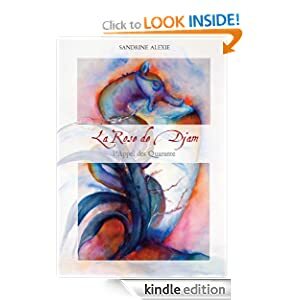 Re: French novel about Kurdistan published "La Rose de Djam"
The adventure is starting near the Afrin River and ended in Lalesh village. nice, have you asked the Writer's permission to publish photos from her book ? OH Wait you are the writer so we dont have to worry about it. but it is very nice map I like it, how did you come up with the borders ? But this is a correct map of Kurdistan in 1186. Last night i have completed my sleeping book that was Dragon Over Washington. I never seen before interesting like that it is about strange magical beings arriving in our world and starting what appears to be a great war to conquer it for their own use. Dragon Over Washington is the first book of what appears to be a very interesting series which sports a plotline not readily seen in other books. Last edited by jeeven on Wed Mar 06, 2013 1:02 pm, edited 1 time in total. jeeven wrote: Last night i have completed my sleeping book that was Dragon Over Washington. I never seen before interesting like that it is about strange magical beings arriving in our world and starting what appears to be a great war to conquer it for their own use. Dragon Over Washington is the first book of what appears to be a very interesting series which sports a plotline not readily seen in other books.